Milo Kellogg was born in Rodman, New York, in 1849 and graduated from the University of Rochester in 1870 with A.B. and A.M. degrees. He began his career in telephone communications in 1872 and pioneered in the design, development and production of both apparatus and circuits. He was an inventor, supervisor, superintendent, general manager and president. He was a person of many exceptional talents and indeed an inventive genius. 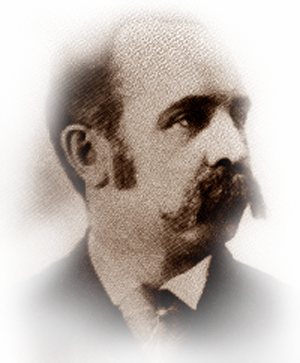 In 1872, he joined Western Electric Company and became general manager in 1882. He then became president of Central Union Company and Cumberland Telephone Company. In the period 1888-1890, he produced specifications for magneto-multiple switchboard systems and had nearly 150 patent applications in the patent office at one time. In 1897, Kellogg organized and became the first president of Kellogg Switchboard & Supply. In 1898, the first 800 line switchboard was installed. In 1899, Milo Kellogg established a national record for receiving 125 patents in one day. In 1905, he received the patent on “Grabaphone” . He was a true inventive genius who pioneered in telephony. He died in 1909.